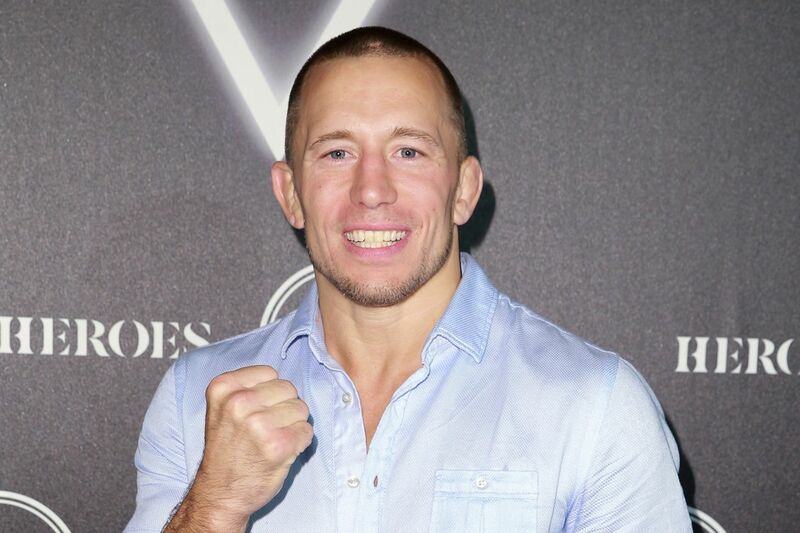 A few weeks ago, former Ultimate Fighting Championship (UFC) Welterweight and Middleweight champion Georges St-Pierre announced his official retirement from mixed martial arts (MMA) after over 16 years in the hurt game as a pro. And earlier today (Tues. March 5, 2019), “Rush” took another step in making it official, as he exited the United States Anti Drug Testing Agency (USADA) testing pool and handed his written retirement notice to UFC vice president of athlete health and performance Jeff Novitzky, per ESPN. Georges did leave the door cracked open just a little for a possible return, as he revealed during his retirement press conference that he’d be open to entertaining worthwhile offers from Dana White down the road. But at this point, it seems retirement is going to stick for the French-Canadian. Should St-Pierre ever decide to fight for UFC again, he would have to re-enter the USADA testing pool for six months of random drug testing before he can be approved for a fight. Georges was hoping to lock down a bout against current Lightweight champion Khabib Nurmagomedov, but after the promotion decided to pass, St-Pierre decided it was time to walk away from the fight game. “Rush” hasn’t competed since defeating Michael Bisping at UFC 217 in November of 2017 to win the 185-pound strap. Soon thereafter, “Rush” announced he’d be taking a leave of absence to take care of his battle with ulcerative colitis. At 37 years of age, St-Pierre is adamant he’s in the best shape he’s ever been in, but it seems the days of seeing “GSP” take on and defeat the best the world of MMA has to offer are officially no more. Ultimate Fighting Championship (UFC) welterweight champion Georges St-Pierre, who also held gold at 185 pounds, was unable to convince promotion president, Dana White, to grant him an immediate shot at reigning lightweight champion, Khabib Nurmagomedov. Even though “The Eagle” was on board. “Rush” was hoping to use that once-in-a-lifetime opportunity to make history (yet again), becoming the first mixed martial arts (MMA) fighter in UFC to hold championship titles across three different weight classes. Unfortunately for St-Pierre — and fight fans — White never had the best relationship with the French-Canadian phenom (call it “tense”), particularly in the wake of his hasty exit from combat sports back in late 2013 (leading to this outburst). 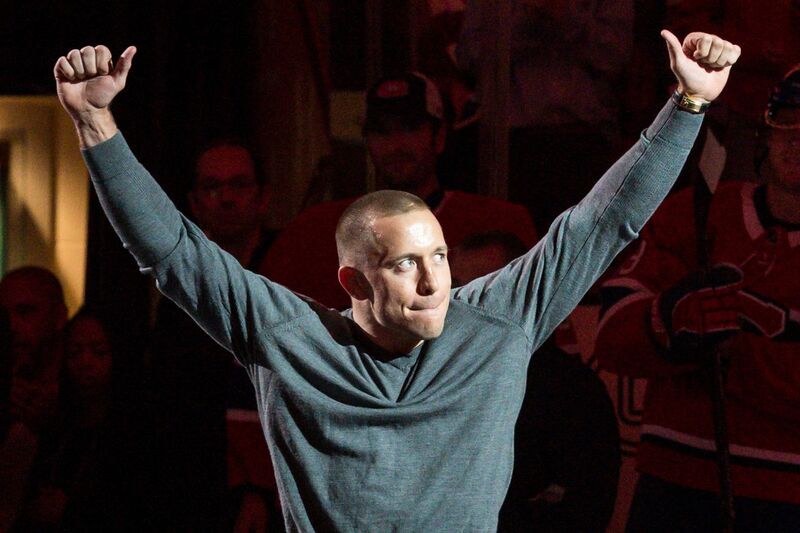 St-Pierre (26-2) will host a special media press conference on Wednesday (Feb. 21, 2019), where he is expected to announce his retirement, according to Benoit Beaudoin. “Rush” turns 38 in May, so expect this farewell to stick, unless something dramatic happens over the next 24 hours. Bellator 214: “Fedor vs. Bader” takes place this Saturday night (Jan. 26, 2019) at The Forum in Inglewood, California. Early “Prelims” fights start at 7 p.m. ET on DAZN (try it free for one month right HERE), while the main card begins at 9 p.m. ET on Paramount Network. Ahead of a historic card headlined by Fedor Emelianenko and Ryan Bader, who will meet in the finals of the Heavyweight Grand Prix, Bellator MMA held open workouts with the main card fighters earlier this week. After putting his 42-year-old body through the paces in the hot California sun, Emelianenko spoke to the mixed martial arts (MMA) media in attendance about what this fight means to him. 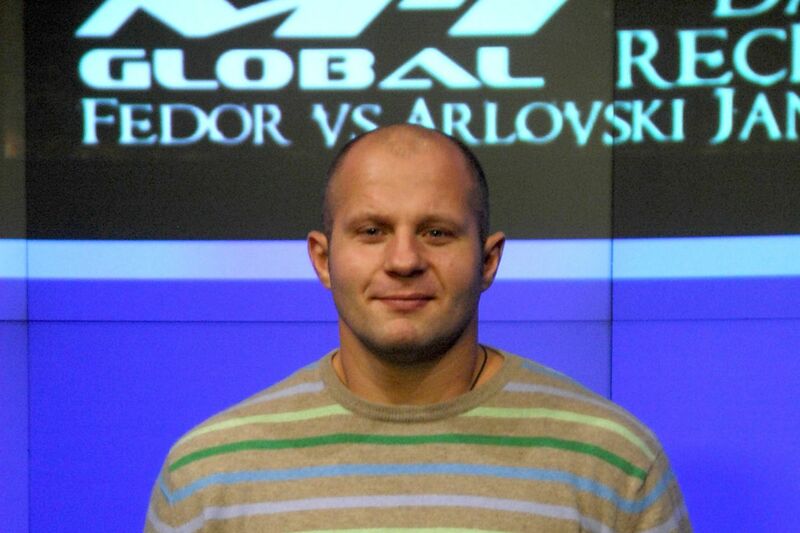 After initially retiring from MMA in 2012, Emelianenko surprised many people with his comeback three years later, but admits the thought of retiring again lingers. If the Russian legend wins the grand prix tournament this weekend, along with Bellator MMA’s Heavyweight title, few could blame “The Last Emperor” for hanging up his gloves for good and going out on top … in style. 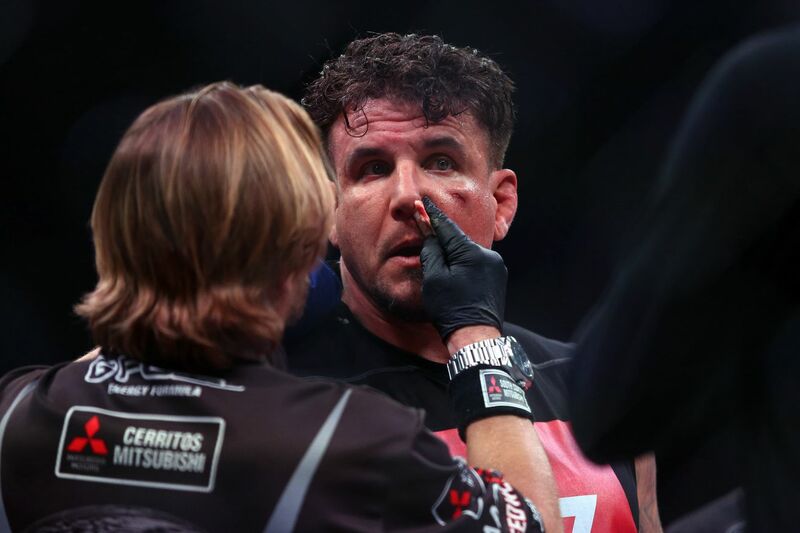 Frank Mir experienced one of the worst defeats of his career earlier this month when he was forced to tap due to strikes against Javy Ayala at Bellator 212 in Honolulu, Hawaii. The finish came about after Mir lost his mouthpiece in the second round only to have Ayala’s punches fracture his alveolar ridge. The injury, which effects the jaw ridges, extensions of the mandible or maxilla, either on the roof of the mouth between the upper teeth and the hard palate or on the bottom of the mouth behind the lower teeth (via wikipedia), rendered Mir unable to continue and forced the former UFC champion to tap. Thank you for all the support and messages from everyone. It means a lot. “Fight life,” Mir wrote. “Thank you for all the support and messages from everyone. It means a lot. Thank you [Bellator MMA] and to [Javy Ayala], best of luck in your career. In addition to his social media post, Mir took some time to discuss his recent defeat during the latest edition of his “Phone Booth Fighting” podcast, hinting that it may be time to walk away from the sport. “I would actually like to have a rematch with Javy, reason being is because really he was a testing moment for me to feel if I should continue fighting or not,” Mir said. “He’s somebody that doesn’t have – obviously, he hits hard, but so does every other heavyweight. But he was picked as an opponent that was a very winnable fight – should be if I’m worthy of still fighting, and so then it’s really a crossroads for me. Mir, 39, has now lost four fights in a row including his first two under the Bellator MMA banner. Remember, the heavyweight veteran was knocked out by the legendary Fedor Emelianenko back in April as part of Bellator’s Heavy Grand Prix opening round. In total, Mir has been knocked out in each of his last three bouts. That said, Mir did look good in his fight with Ayala prior to the stoppage. The veteran not only controlled Ayala on the ground with takedowns and top pressure, but he landed strong punches on the feet. Mir just happened to lose his mouthpiece at the wrong time against the wrong opponent and that was all she wrote. If Mir decides to continue his professional fighting career entering 2019 I’m sure Bellator MMA will have no issue welcoming the heavyweight back with open arms. Tito Ortiz appeared to retire following his knockout victory against Chuck Liddell at Golden Boy MMA: Liddell vs. Ortiz 3 last month, claiming that he was “done” with MMA. Now, it seems he might have left one task undone. Daniel Cormier’s grand scheme of fighting Brock Lesnar and then retiring before his 40th birthday might not come to fruition after all. Ultimate Fighting Championship and Professional Fighters League veteran Rick Story has closed the book on a lengthy career at the age of 34. After stepping in on short notice to help save the UFC 230 main event, the end is in sight for Daniel Cormier.